Mount Everest is the world&apos;s highest mountain (above sea level) at 8,848m (29,029 ft), and once seemed insurmountable. 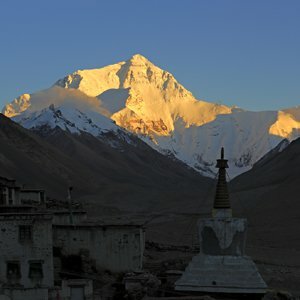 We&apos;ve collected some interesting and amazing information about Mount Everest for your consideration. Maybe you&apos;ll consider coming to see it yourself... If so contact us. 1. Mount Everst Technically NOT the tallest! Although Mount Everest is the highest mountain above sea level, Hawaii&apos;s Mauna Kea is the tallest mountain base-to-peak: 10,210m (33,500 ft), 4,205m (13,796 ft) above sea level. 2. 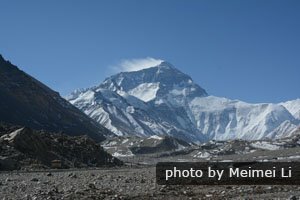 Mount Everest rises 40cm per century! The Himalayas are being formed by uplift of the Eurasian Plate by the Indian Plate sliding underneath. Everest grows about 4mm (0.2”) a year. Mount Everest is part of the Himalayan range, and it is the tallest peak at 8,844.43 meters (29,016 feet) high. And it&apos;s still growing at a height of about 40 centimeters (16 inches) per century. From a height of 5,300 meters (17,400 feet), the mountain is capped with snow and ice all year round. People who want to climb the mountain must wear goggles as well as warm clothes in case of snow blindness. The climate is very harsh. The warmest temperature there is -20°C (-4°F). 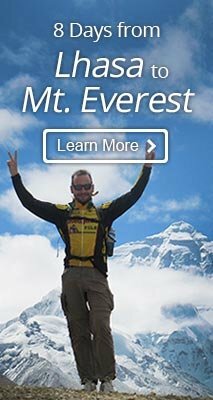 If you love mountaineering and plan to climb to Everest&apos;s summit, it&apos;s good to know that it costs at least 30,000 USD to climb the mountain. You will need to spend money on transportation, guides, training, and professional gear. The first recorded person to reach the summit of Everest was in 1953. Since then, more than 4,000 different people have stood on the top of Everest over 7,000 times. Some of them (most are Sherpa guides) have climbed it more than once. The average death rate is about 4%. Most people died due to avalanches, falling into crevasses, and altitude sickness. And most of them died when descending. The bodies have been left on the mountain. The region above 8,000 meters (26,247 feet) is called the &apos;death zone&apos; because of the lack of oxygen, coldness, and exhaustion for climbers. With the development of mountaineering gear and accurate weather forecasting, the death rate is declining. From 2000 to 2015, there were more than 5,000 summits and about 100 deaths. To climb Everest, you need to adapt yourself to the high altitude first. That means you have to do training between the base camps over and over again. When you are ready and the weather is good, you can go for the peak. 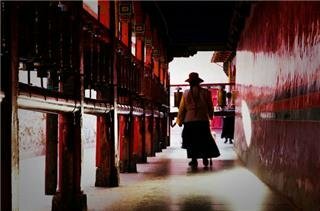 Whether you are a mountaineer wanting to see more of Tibet, or an ordinary traveler wanting to see the world&apos;s most famous peak from a distance, we can help you. We are are experts at tailor-making tours to customer requirements.